How practical was platemail, chainmail armor? Any true historical knowledge if armor was proven to be a real advantage over not wearing armor? Afaik everyone who could get or could affort any kind of armor had it and used it. In old battlefields graves armored soldiers were found, f.e. Battle of Wisby/Gotland (1361), where so many were killed that they burried them with mail and coats of plate (many had deep wounds in their shins, so you can say they weren't armored enough). Hollywood is bs, but of course armored men weren't invulnerable. One side usually loses in a battle, even if both have armor. My understanding is that the bodies of those killed at Visby started rotting quickly in the summer heat, and they just wanted to get them buried as quickly as possible. To answer the original question, we know armour worked. There are numerous accounts of armour keeping the wearer from getting killed, there are manuals that talk about how to defeat someone in armour. Oh man, forget Hollywood. To begin with if armour wasn’t worth it so many people wouldn’t have opted for it over such a time long span. The more wealth a person had the more and better grade of armour they had. You’re right a shield is important and I wouldn’t be without mine, but as the efficiency of armour increased the need of a shield decreased. In the 11th century, for example, kite shields were common. During the next century as leg armour improved you will see a disappearance of the kite shield in favour of the smaller heater shield. Personally speaking from my limited experience with armour; I find the weight if using metal, and the heat build up all work against me (I live in the tropics). It also aggravates my back which these days is getting even for all those times I abused it. On the other hand if I wore it more I would build up more resistance. My hauberk, for example, after wearing it for a couple of days I don’t notice the weight at all and the holes allow the heat to escape so no problem there. I get the impression that when you refer to armour you are talking about plate. There are other types and what type is best depends on many things such as climate, the advisory and his weapon, one’s physical ability, pocket book, etc. Personally I prefer soft armour supplemented with steel such as mail coif, mantel, helmet, and vambracers. I have two gambesons, the lighter one is cooler and allows more freedom of movement while protecting me from my own armour such as mail. The heavier gambeson is quicker to put on and gives more than adequate protection, lighter in weight when considering the weight of my hauberk or brigandine and thereby extending the period before fatigue sets in. A well padded gambeson is amazingly resilient as is heavy, thick clothing. There are numerous examples, for example, the Brits during the Crimean War failing to cut through the Russian’s heavy coats with their swords. In “Swordsmen of the British Empire” there are numerous examples of failing to cut through a turban of a sepoy. There’s one involving a British soldier that wore his heavy coat into combat and it saved him several times including a slice down the back that he was unaware of until removing his coat. awesome, thanks! you guys are really true experts.. I didn't really know there would be so many people really into this kind of stuff. I guess what armor to wear depending on the situation. for example like the chainmail, I guess wouldn't help too much against arrows or sword thrusts but would help vs slashing attacks. a good trained opponent would know this though. Maybe there was some psychological factor that made you feel "safer" and you could fight better, less likely to run from a fight.. I don't know. Full plate would offer great protection, but as mentioned if you fell over you would be a goner, or you were on the losing side, it would been difficult to run away if you didnt have a horse.. The gambeson sounds like a great alternative indeed! maybe arrows could get through though..
Actually, chainmail is very resistant to even powerful sword thrusts. 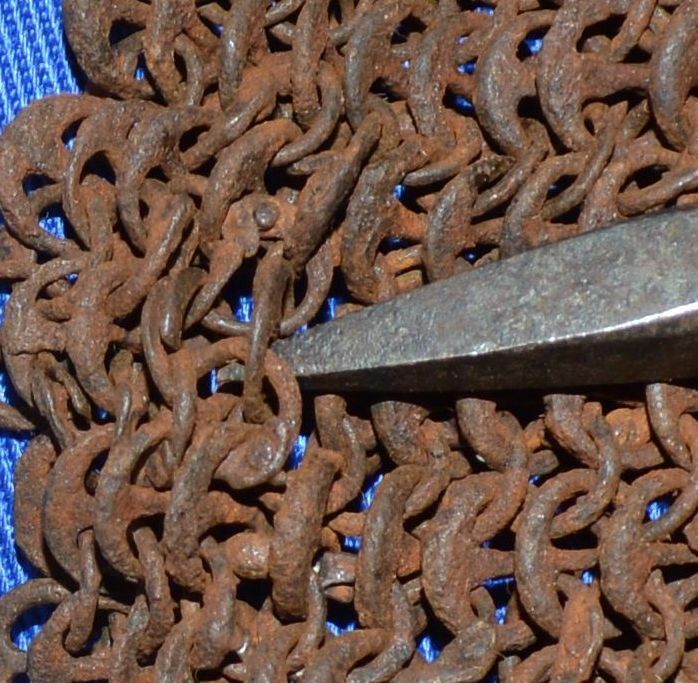 Real chainmail is riveted, unlike many cheap reproductions which are butted. The rings are strong, hard to penetrate or break even if a sword tip manages to get into a ring. for example like the chainmail, I guess wouldn't help too much against arrows or sword thrusts but would help vs slashing attacks. Arrows and spears were the most important things it was there to protect against. It helped a lot against them. they were so well cased in armour that the arrows did them no harm, and were such large and stout men that one would not fall when four or five bills struck them. ...drawn up in front of the cavalry, stood firm as a wall, and every foot-soldier wore a vest of thick felt and a coat of mail so dense and strong that our arrows made no impression on them... I saw some with from one to ten arrows sticking in them, and still advancing at their ordinary pace without leaving the ranks. He bent sideways so much that his head reached his stirrup, his shield and lance fell off his hand, and his helmet off his head...he then resumed his position, erect in the saddle. Having had linked mail under his tunic, my lance did not wound him. Conquer with an unwounded body; let the power of armour keep you safe. Of course, there are accounts of armour failing, too. Armour working as it's meant to is normal - the failures are often presented as remarkable feats (by the attacker). So as there is no misunderstanding about getting up; There is a rumour that a person in full plate armour could not get up by himself. There are plenty of videos to prove otherwise. Having said that I believe while the videos are honest they do not present the whole story. All who perform this feat do so while on a hard, solid surface. I would like to see this performed under possibly more realistic conditions such as in a field after rain that might have lasted for several days and after thousands of men and horses have done their thing for any length of time. That would be a quagmire. I just remembered reading of men in such conditions drowning for the lack of being able to gain footing. Then there are differing grades of plate. Jousting armour being the toughest and heaviest, but nobody goes to combat in jousting armour. Combat armour will vary in gauge. Those with more money and strength would no doubt opt for the heavier gauge stuff. In my original statement involving going down I was thinking not of one’s ability to overcome the weight of armour and to stand as seen in many videos to prove that it can be done, but being attacked on the ground by a group before one can. I have trouble getting up, although I can. My problem is that I have more weight above throwing my balance off. When I lay down on my back I have to roll over in order to allow my arms to help. As long as I remain upright I have no difficulty. There was the case that I read in the reviews on Amazon where a fellow who worked in a knife infested area bought a mail hauberk to wear going and coming from work. He said that he got strange looks while on the bus. A co-worker was knifed to death while going to work a year or so before he was attacked. And his boss knifed sometime after this fellow was attacked but survived. In this fellow’s case he was attacked and the robber’s knife just slide off of the mail. At that point they began to grapple and this fellow went down and received several kicks before the would be robber fled. He had difficulty getting up, resulting in the kicks, because the mail threw him off balance. Below is a video of the real stuff, before the repros hit the market. They show original mail and it is nothing like on the market today. I found many other interesting subjects. It’s in two parts with a long pause between the two. Don’t get fooled. Wow, nice video. The detail and workmanship in a suit of armor is incredible. Locking gauntlets were very cool. I've swum, wallowed in mud and climbed trees, and done calisthenics in both plate and riveted mail. I was always able to move freely but i did see a mans pig face bascinet get stuck in mud approximately 11 inches deep. 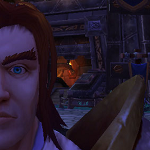 His helm made a vacuum and he had to be pulled up by 2 other men. The story about armor weight being debilitating was a propaganda piece spread by English knights in the time of crecy and agincourt. The common archers and other soldiers feared the French chivalry who were much more wealthy and possessed more and better armor than the English knights. These stories led the English foot to be more aggressive in attacking the French after they were dismounted by the archers. If a movie/tv viking wears awesome biker leather clothes no sword can cut through it and it magnetically pushes enemy shields out of the way. Armor works. Hollywood would have you think not. I'm not surprised about the plates - there was no really excellent way to distribute their weight. That's the key to effective 'heavy' armor. Especially from the 45 second mark onward or so. cool, once again im stunned! 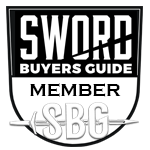 a few days ago I would have considered my self fairly knowledgeable on swords, armor, etc. turns out im quite an amateur! some things you just have to do yourself. i never understood all my research until i actually got my own and wore it enough to become accustomed to moving and fighting in it. once i did, i felt better wearing it than i did my subsistence loadout in the Army. the only time it wasn't so great was falling off horseback in it. that really slammed me flat. and i was only at a quick trot not a full gallop. i was so stunned that i couldn't breathe or move for some time and was helpless. i never fell from a horse in full army gear so no comparison there. i felt a little kinship with those Frenchmen mentioned earlier, of course there were no arrows in my horse though! The sense I've gotten is that early and high medieval armor tended to be fairly simple and would have been used as a backup defense to your own skill with sword or spear and shield. The mail provided cut and thrust protection, but the legs and head were kept fairly free and the face was left uncovered most of the time (save when a great helm was put over everything). Somewhere towards the early 14th the pattern changes and the record shows an accelerated arms race between arms and armor. I don't think anyone knows exactly what started this but certainly higher octane projectiles were a contributing factor. Visby provides a unique window showing militiamen throwing everything they could scrap together into coats of plates, gauntlets and so on. They were terrified. And in spite of their precautions their armor still failed them. There are other instances of heavily armored fighters being destroyed around that same time. The trained knights at Golden Spurs and Crecy were annihilated. In the case of Golden Spurs by a special anti-armor tool called the goedendag that can crack riveted mail, and in Crecy by powerful longbows. The armor improvements can't be mere coincidence. I suspect they were a direct or indirect result of losses like these. For examples sloping armor was seen in the 14th century in seeming response to high powered bows. And face protection became more and more complete. Self-supporting tailored plate harness replaced the layered approach and increased mobility while improving protection. But costs kept going up too. Even today it's a HECK of a lot cheaper to do living history as a 14th century soldier with a gambeson or mail and brigandine than it is to get tailored 15th century harness. Of course, as armor got better the anti-armor weapons kept pace as did harnessfetchen techniques. So armor ultimately didn't make people "safe" on the battlefield anymore than riding in a tank makes you "safe" during a battle with other tanks. It became a basic necessity just to keep pace. So while protection increased the death tolls actually got higher. It wasn't because armor was being cut open, but because people are smart and learned how to counter it. Even the best tailored harness has weak points and exposures, even when mounted on an armored war horse. Those crazy pole arms with all kinds of things jutting out of them you see in museums were designed to dehorse and open up knights like a can of spam. And ultimately of course the nature of warfare changed. Noblemen went to the rear and commoners did more fighting. Powder got more effective and pike and shot formations came to dominate. The need to keep everyone covered in armor faded away until even the breastplates went. It's interesting to see history repeat itself with modern soldiers and marines wearing kit that's basically just fabric armor topped with a coat of plates. It really depends on the type of mail armor a person owned. Some mail was extremely thick and heavy, while some mail was thin and light. Take Indian theta mail, every other link had a bar welded across it, very arrow resistant with very little space for an arrow to slip past. Hard to get the tip of a sword or dagger past it as well. Add thick clothing over and under it....well you get the idea. Who first used mail armor and when it was first used has never clearly been established, mail is easily corroded into dust and harder to illustrate than other armors. No one really can say for sure when mail was first used. Even mail from very recent times, lets say pre 1200s is extremely rare.